City in Brief: Known as “Harbour City”, Nanaimo is situated on the east coast of south-central Vancouver Island. It is British Columbia‘s sixth-largest city and offers an assortment of outoor recreation activities such as hiking, boating, kayaking and scuba diving. 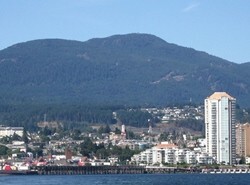 Nanaimo is also the site of the main ferry terminal for the Horseshoe Bay BC Ferries, which links the island to the mainland.